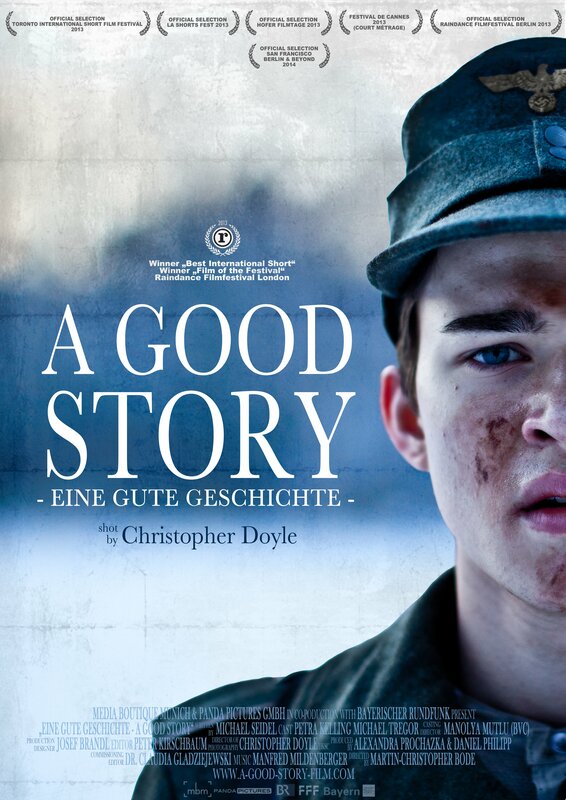 Short movie "Eine gute Geschichte" picture of this movie in a better resolution. Can anyone help me? Dear ImDb-Team, i ́m the editor of the short movie "Eine gute Geschichte" and i ́m trying to find the picture of this movie in a better resolution. Can anyone help me? If anyone’s in a position to supply a better image, surely that’s you. The IMDb doesn’t provide much information. They give us the facilities to let us (fans and filmmakers) submit the data. Hi, Steve Crook. He is just asking for our help. What I wrote was intended to say that he can do it himself. He is in the best place to do it as the editor. I never submit data for other people because I can’t be 100% certain of the accuracy of what they tell me if I didn’t do the research myself. I see what you mean, Steve Crook. Hi, Peter Kirschbaum. Fortunately, as it turns out, IMDb's content delivery network does have what appears to be a higher-resolution (7016p) copy of the poster, but unfortunately the actual photographic elements within the image are not as sharp (hence probably blown up from a resolution lower than 1000p and reconstructed with the same vector-based text overlay): MV5BZWZiNzAzM2ItYTBiNS00ZjAwLTk5MDQtMmVjOTU1ZWU4YTQ4XkEyXkFqcGdeQXVyMjY4MTE1NDI (4,961 by 7,016). I've looked around the Web for this image, but cannot find any high-resolution versions of it. I've tried to determine the contact information for the production companies, but there is none posted through IMDbPro. Since you're the editor of the movie, you should be better able to contact the studio than we can. Please try looking for a physical copy of the poster distributed to film festivals, the box office or so. Thanks a lot for your help, Jeori!! !